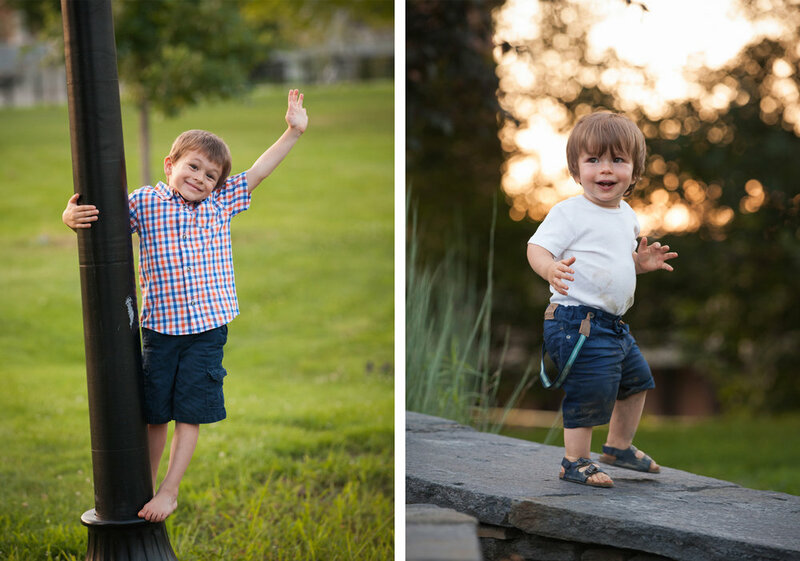 We met up with Lisa and her two sons, Ben & Simon, to update their family photos on a perfect summer evening in western Mass. Located in the center of the UMass campus in Amherst, the pond is surrounded by gorgeous flowers, wide open fields, and lots and lots of ducks. 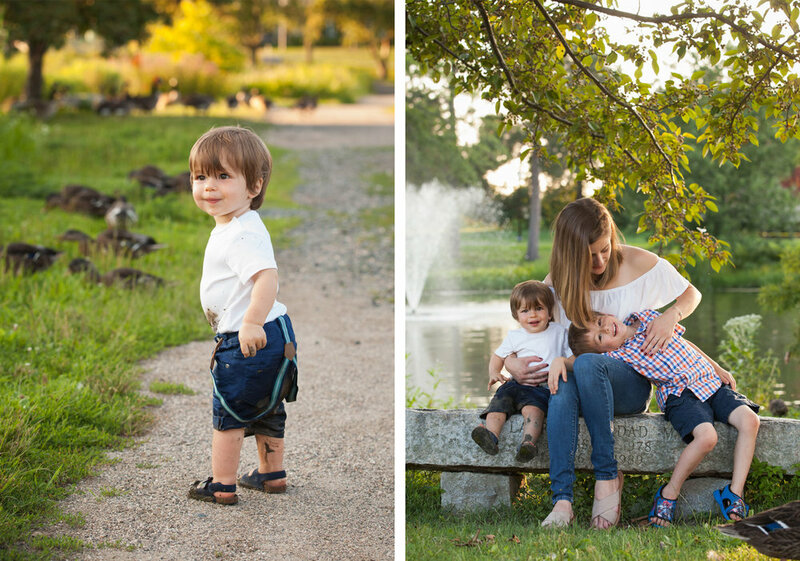 Just as we began walking down to the pond with Lisa & the boys, her youngest, Simon, dressed in a bright white t-shirt and suspenders, decided to kick things off by jumping into a giant, murky mud puddle... before we had taken ANY pictures! 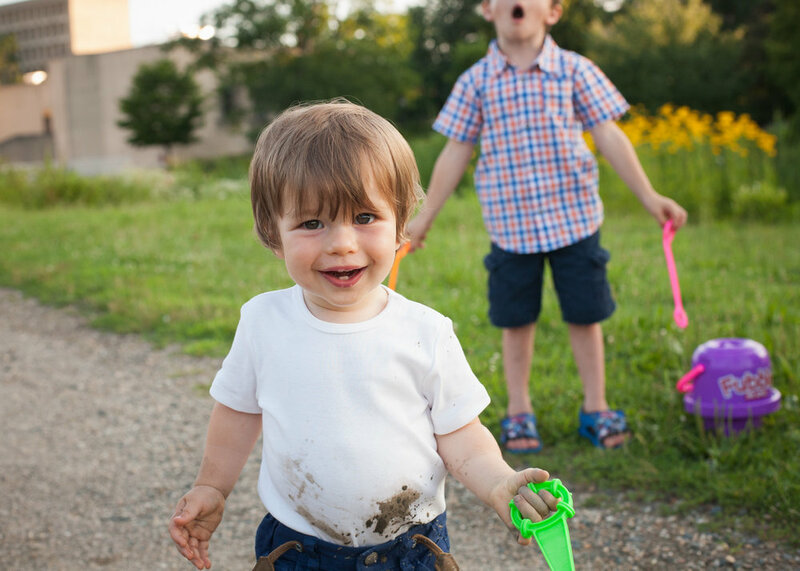 Without missing a beat, Lisa scooped up her very muddy toddler from the puddle, laughed, and said, "Well, this is my life!" 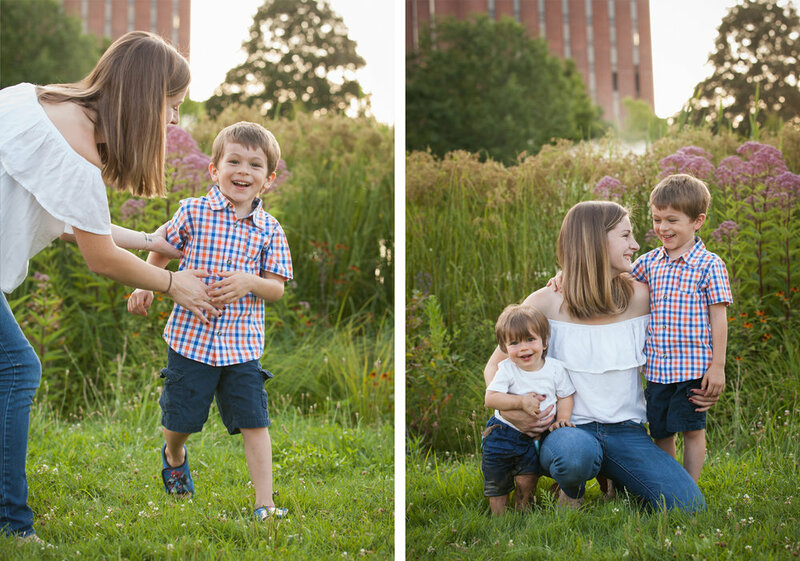 Bubbles are always a big hit during family sessions. The boys had a blast blowing bubbles and then running around trying to pop them. Check out the big smile on the little guy! 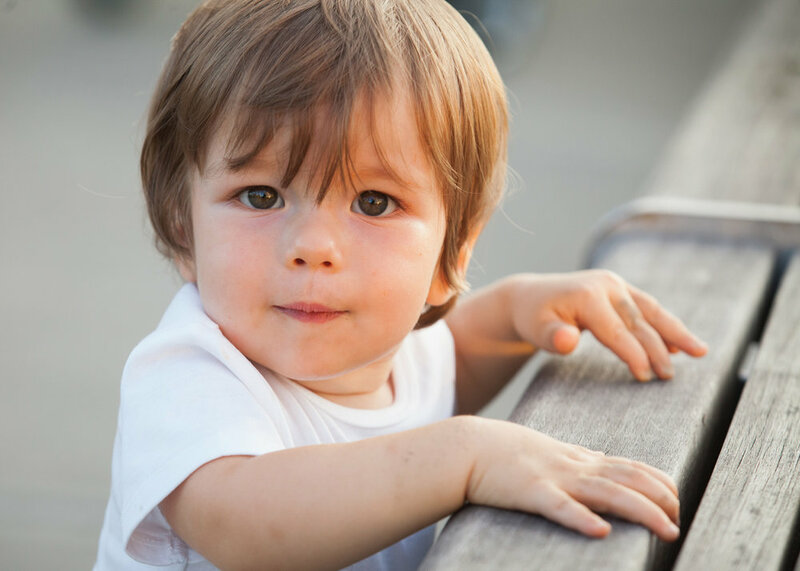 Ben was all about the silly faces, funny poses, and climbing all over everything — benches, handrails, lamp posts, you name it! These two kiddos were hysterical and so sweet, and they definitely had us cracking up laughing the whole time. Interested in updating your family's photos?? 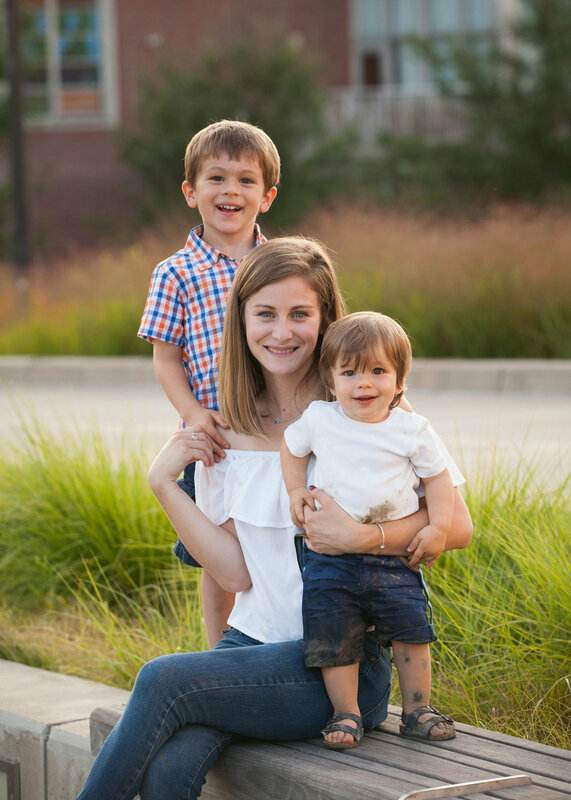 Check out our Portrait info Page and Contact Us today! ibby & Eric Photography, LLC. is a married photography team located in Massachusetts, specializing in weddings and lifestyle family portraits.